You know how good a fresh shower feels, washing off the dirt and sweat. Believe us, cleaning up your workbench is the same for your mind. Clean it once in a while and you will be happier painter with a clear focus on your projects. It is nothing bad, when your workspace is a mess during the heat of creation, but often the heat is followed by a void. Take your time. Clean up your mind, your creative energies. Make room for fresh energies and motivation. 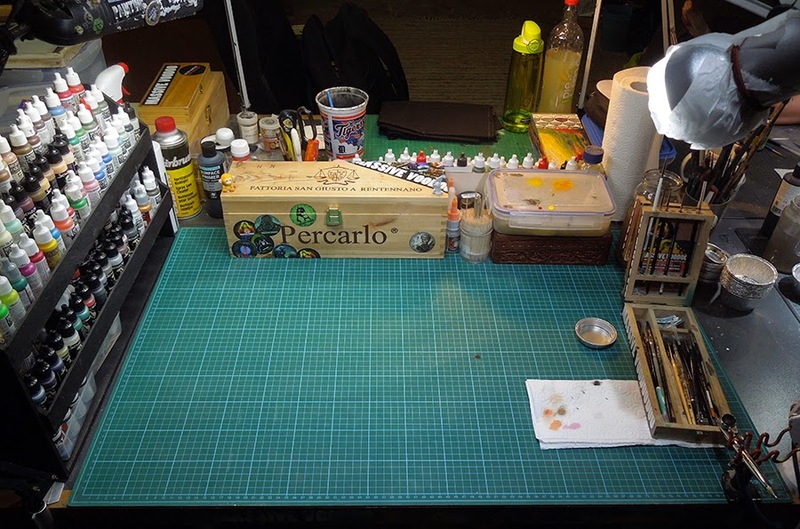 I have to do a complete clean-up of my workbench about every 2 months. It definitely helps my focus! I should do this, especially after the Bananalicious Contest!!! I did this just last night!